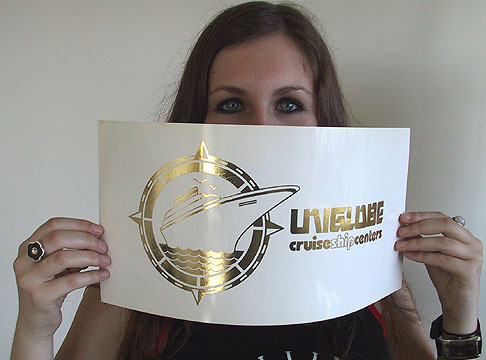 AllOut-Graphics has an “in-house-developed” capability of simulating foil stamping. Colour variety is adequate, limited only by the number of foils available in the market place. Hero comps with a prestige requirement such as liquor and wine label designs, cosmetic packages and confectionary items are dressed up to shine, glow and sparkle. The process can be tweaked to simulate embossing as well. Digital color proofs of wine and liquor labels are typical candidates for this “dress-up” procedure.